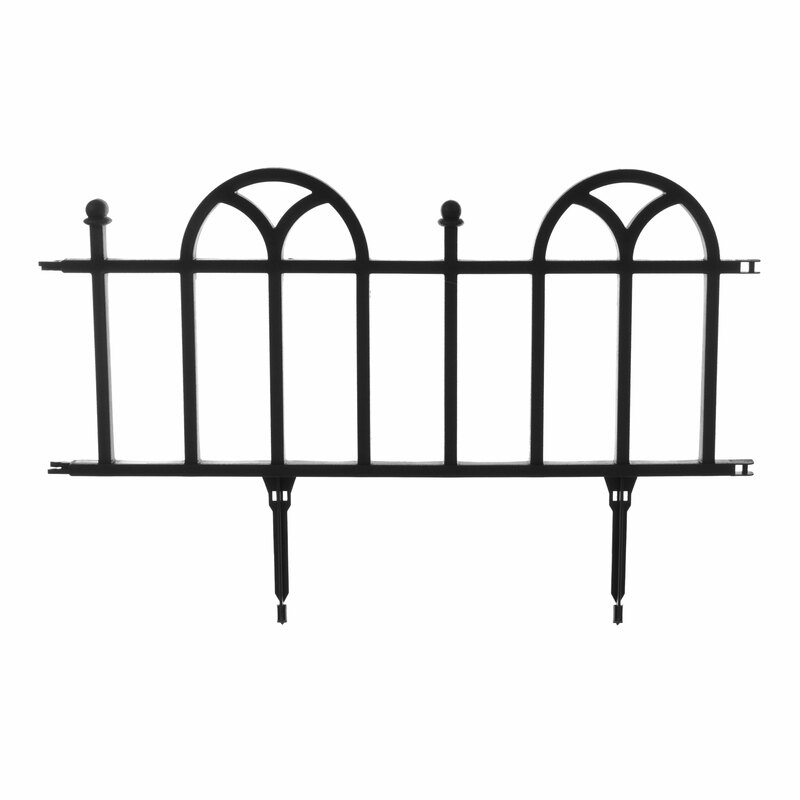 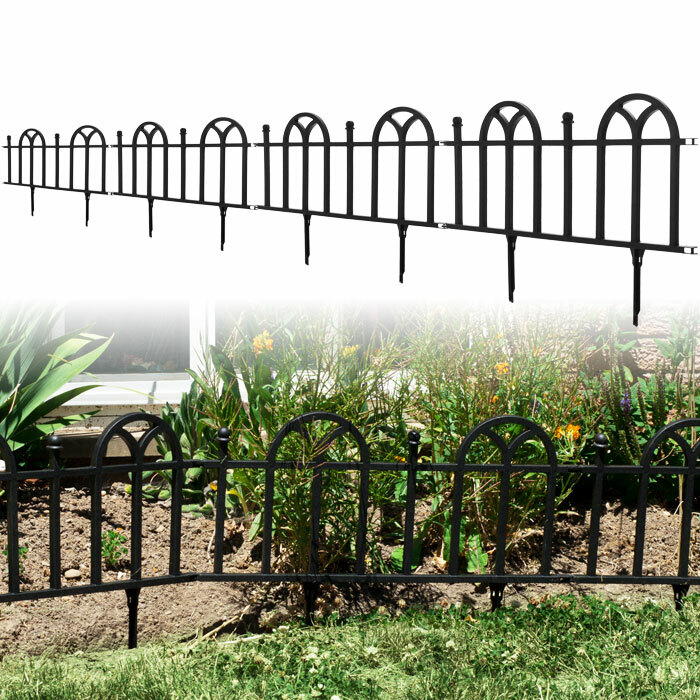 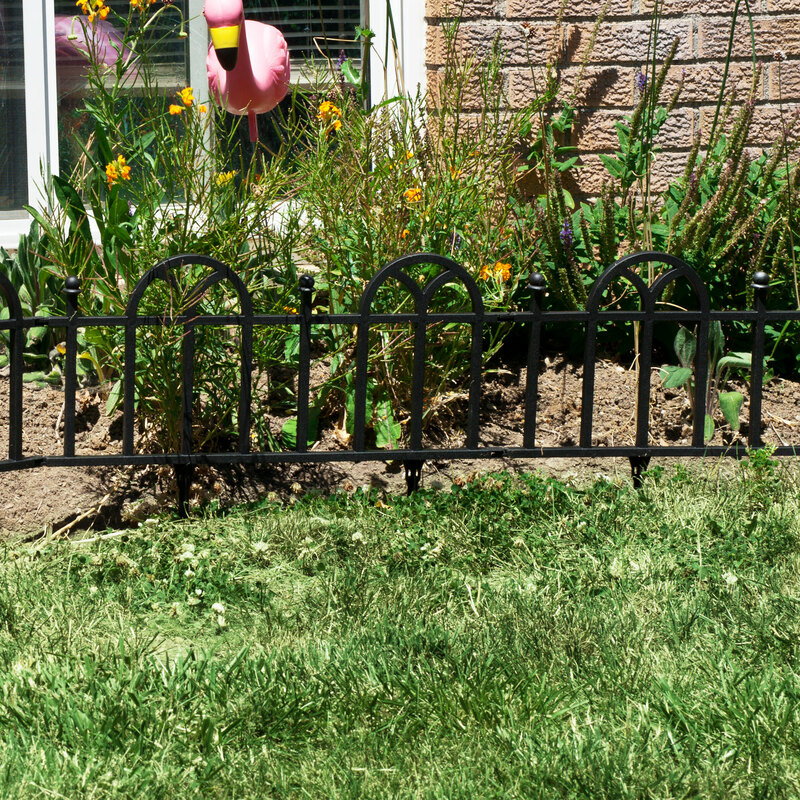 This 4 pack of Navarro Victorian Black Resin Gate Fencing is made of high density Polypropylene resin. 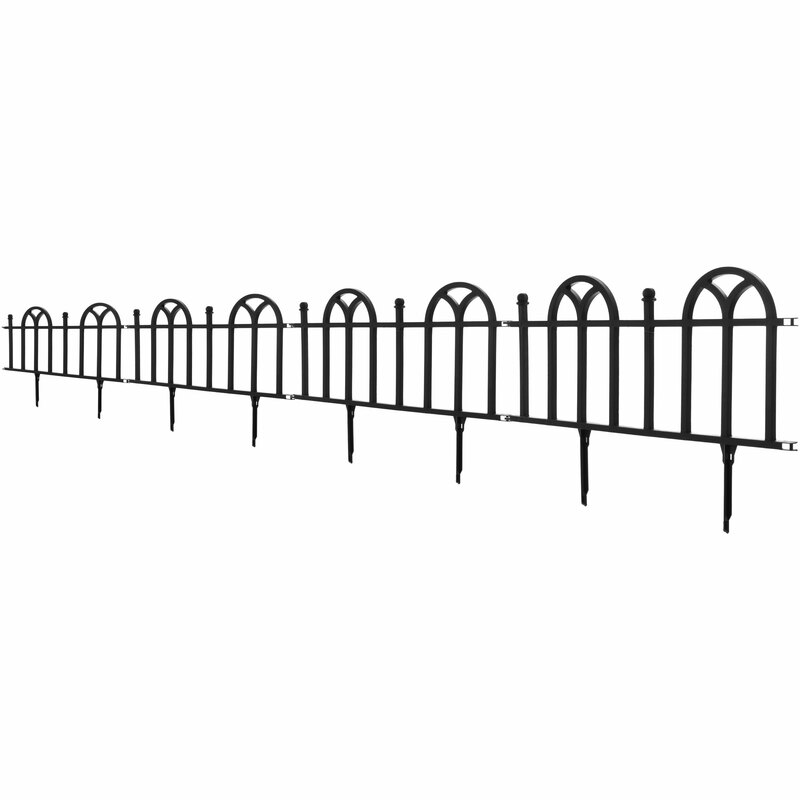 This decorative fencing has a classic Victorian gate archway design and is perfect to add beauty and definition to any landscape bed or border. This product looks very much like real wrought iron fencing but is much easy to work with. 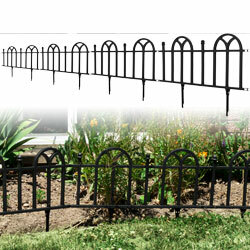 Product Dimensions: .25" x 24" x 16"